Since it’s come to light that cocaine and alcohol led him to die too young, Jay Reatard’s legacy does don an asterisk whose footnote reads, “Wasted talent.” Drugs, alcohol and their combination leading to an early demise is nothing new in rock n’ roll, but I do find it interesting that the most talented or noteworthy musicians to openly partake of this poison typically have the weakest constitutions. Nikki Sixx, on the other hand, can be clinically dead and come back to life like a rehab Messiah. Are rock stars just better at tolerating chemicals than musicians? 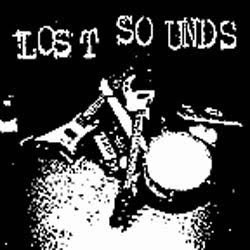 Anyway, as I’ve been exploring Reatard’s back catalog to some extent, I found the 1+1=Nothing 7” via his ‘99 -’05 outlet, Lost Sounds. Way out-of-print, having been issued in 2000 by Empty Records, 1+1=Nothing is a synth-blackened noise album, its eerie title track something that caught my ear as I was surfing the ‘net one night in search of, coincidentally, nothing. “Memphis Is Dead” is on its B-side, and features Contaminated Records owner and Memphis garage rocker, Alicja Trout, screeching away riot grrrl style. A link to download a digital copy exists at Pukeskywalker.com, along with a couple other Lost Sounds releases.